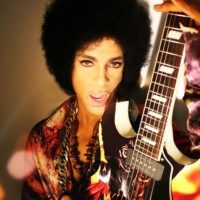 On or around the 7th of July (7/7/07), the same day his perfume “3121” gets its unveiling at Macy’s in Minneapolis, Prince will be in store to launch the perfume and maybe giving out make-up tips. He will be performing that evening at the Target Centre. The first single from Planet Earth, currently available as a download with mobile phone company Verizon, will be a re-worked version of Guitar originally released back in February on 3121.com. New @prince account confirms end of 3rdEyeGirl?